Hey 'ol buddy 'ol pal - to coin a phrase Alex Becker loves to say. Welcome to my H-Com 2020 review. This course has been around for some time now but it is still getting some attention and I thought i'd do a review on it. After all, I respect Alex Becker and have bought quite a few products in the past including this one. H COM 2020 is an Ecommerce drop shipping course created by Alex Becker, It will teach you how to set up an ecommerce store on Shopify. You will learn how to do branding, Facebook Ads, email marketing, print on demand and more. The course is designed for newbies so learning how to properly set up an ecom business from A-Z won't be a challenge. The course sells for $1997 or 5 payments of $597. If you want a cheaper alternative that I highly recommend, click here to jump or just scroll the to bottom. Chances are you know already but for those who don't Alex Becker is a very successful online entrepreneur. 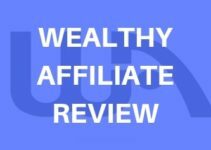 His main focus now is developing software for internet marketers but he also does a lot of teaching both with free content on Youtube and also courses that you can buy. He has a unique, straight forward way of teaching mixed in with the occasional swear words that makes me laugh. His teaching style is entertaining which makes learning easier. I've had the pleasure of hearing him speak at a live event. Here's a picture I took when he was on stage which you can see below. So let's talk about H-Com 2020. There's a lot of ecom courses out there and i've reviewed quite a few. Is this course something you should invest in? I'm going to take you into the course so you can see what you're getting for $1997 or five payments of $597 - that's kinda steep. Partnered with Alex Becker on this is Devin Zander and Matt Schmidt - two well known marketers in the industry. Matt is very successful with drop shipping and print on demand products while Devin is the founder of Smar7, a company that produces apps used on the Shopify platform. The course is broken down into a 10 week training program. In the first two weeks, the focus is on diving right in and taking action. This is followed by an overview of the course and videos on what Shopify is, how to register your store, set up your store and store design. 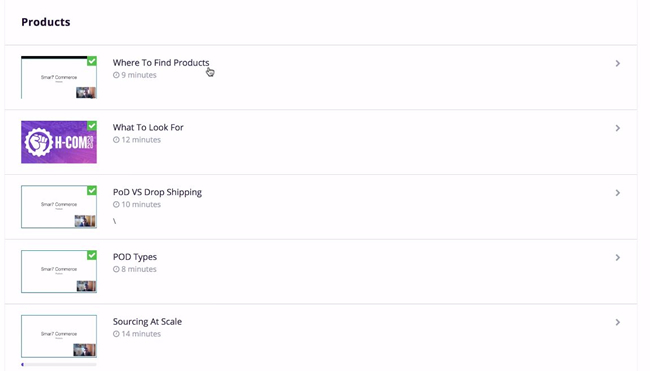 This first section is called the "Quickstart" section and it basically allows you to bypass everything else in the course and just get your first product up to sell right away. It's a different way of doing things and it's totally Alex Becker's style. You can take this info in and take action, or just continue on with the course material, the choice and desired pace is up to you. In the "Products Section" you'll learn how to find products, what to look for, a video on Print on Demand VS Drop Shipping, and POD types. They don't only reference Ali-Express for finding products but others as well. You'll also learn how to scale your products once you start finding winners. Trend spotting is also taught which is good to know so you can catch products in their infancy. 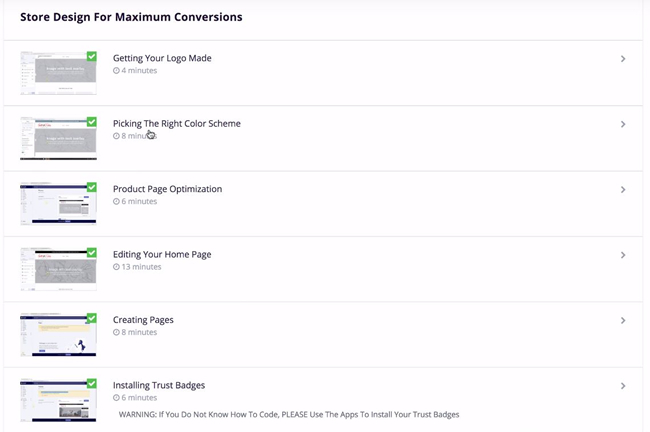 There's a lot to follow in this section and although it good, you're probably better off getting a premium theme which is already optimized for both speed and conversions. They push apps here too and a good premium theme will have the same functions you look for in an app that will come with the theme. You can check out my top recommendations for drop shipping themes here. There's a separate section on print on demand so if this interests you pay attention to this section that Matt teaches. If you're going to open a drop shipping store, you really need to focus on your brand. I don't care what you are selling, if people don't recognize your brand, chances are they are not going to buy from you. The Facebook training is ok, but for what you pay for in this course I would have expected a whole lot more. It's not nearly as intense of a module as i've found in Ecom Elites, which goes into much greater detail with Facebook Ads. 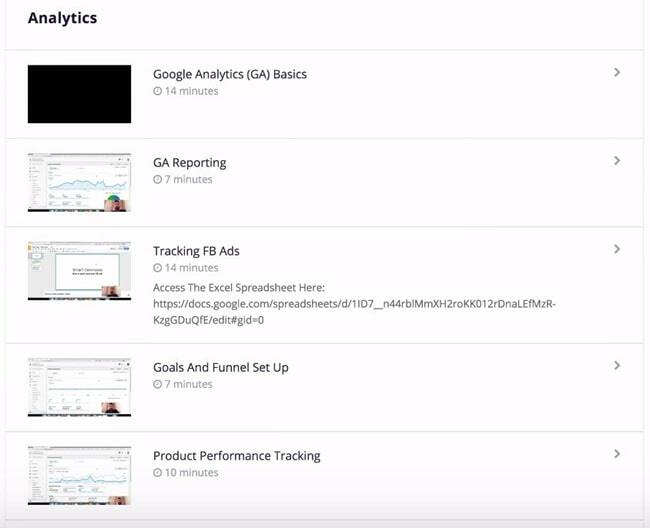 In this module you will learn about Google Analytics basics, reporting, tracking Facebook Ads, Data Analysis & Scaling, goals and funnel set up and product performance tracking. 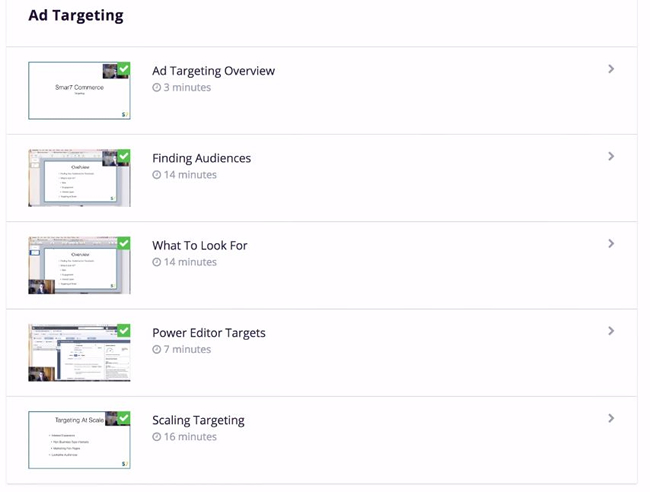 All the videos in this section total under 2 hours and it gives you a good idea on how to analyze your data which is something so important in ecom. Ignore this and you'll end up losing money and miss opportunities. Alex does pitch his own autoresponder - Market Hero, in this module. He gives a brief introduction as to why you need to use email for ecom, explains the relationship between you and your customer, what you should be selling to your Shopify list and more. I also did a review on Market Hero you should check out too. You get a free trial with Market Hero (along with training) if you buy H-Com 2020 but if you wanted to use an autoresponder of your own choosing like Get Response, you can, but the training here is with Market Hero - not surprisingly. Five videos in this section averaging 5 minutes each will teach you the strategies of getting Influencers from Instagram. A lot of marketers are choosing this form of advertising and if you know what you are doing you can make a good profit from it. It's a small section but you'll still takeaway something from it if you have never looked into this before. This section goes into greater detail with showing you the format of a perfect sales video, how to analyze a sales video, creating webinars, webinar pitches, etc. Not many of you will use this tactic but it's included should you decide to look for other avenues in selling different from what you are used to. There's also a section on Youtube where you'll learn how to set up and create ads on Youtube. I hate to say it, as much as I like Alex Becker I can't recommend this product only for 1 reason - the price tag. I think it's WAY too expensive for what you are getting. Don't get me wrong, it's not a bad course, and H-COM 2020 is not a scam as some people say, I just would expect more from a course at this price point. If you want to get into eCom and don't want to spend a fortune on a course, go with eCom Elites - it's my #1 pick right now and at only $197 it's a no-brainer. You'll also get more content - the Facebook section alone is massive. Ecom Elites covers everything in Alex Becker's course including additional training in SEO, Chatbot Training, Google Shopping Ads, a complete done-for-you funnel and more. There are many, many positive success stories with students of this course. I'm a member myself have increased my store sales just by implementing some of the strategies taught. I encourage you to read over my review. I think it will be very clear to you what the better option will be. You can pocket the savings or use it for ads to make more money. Check out my eCom Elites review here where I take you inside the course so you can see more. It’s a decent course however the price tag makes it unattainable for many. There are other options available at a lower price point that are just as good if not better. 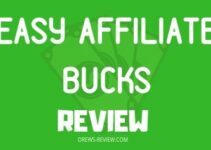 Easy Affiliate Bucks Review: Should You Buy this Brko Banks Course? 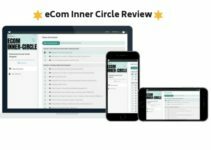 eCom Inner-Circle Review: Should You Buy Arie Scherson’s Course? This was freaking excellent. You explained the course extremely well while also providing your recommended alternative. I literally have no questions after reading, so thank you! Thanks for your comment Kenny! Glad to hear you liked my review. Great review. You saved me having to watch 3 hours of video sales to get the same information!! Can you recommend a better course for a cheaper price? Yes Rajin – it’s Ecom Elites. My review link is at the bottom of this article so you can check it out to see what you get. Hope that helps! I like Becker as well. Watched his pitch on HCOM. Looked good but couldn’t pull the trigger when he finally gave us the price. Ill check out Ecom Elites. Agreed Mark. I’ve bought plenty of other products from him in the past too. He has good stuff but I think this course is overpriced. Can’t go wrong with Ecom Elites!